This is ultra-swing break package. It is for all of you, that would like to make the best of it and know how to enjoy your destination. You get all the swing break action and you will also have some extra time to explore nearby cities, that date back to Venetian times, go for a traditional meal in “Konoba”, mingle and party with organizers and happy helpers and enjoy some time off on beautiful Croatian coast, maybe go for a spa, bike ride, strolls down the beautiful beach, just seat in the sun… More and more dancers decide to take this package, since it offers you a real “break” from your daily routine and gives you enough time to enjoy all the action AND ALSO gives you a nice chance to relax and refill your batteries. 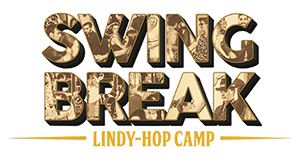 Regular Break is for all of you, that would like to spend a nice Swing Break weekend.